It’s a full-time job keeping up with all the national media attention bestowed on our lovely city. Here are two more articles giving some love to Charleston. From Liquor.com, a website dedicated to cocktails and spirits, comes “One for the Road: Charleston, S.C.” by Simon Ford. He tried out several local establishments, offering up his impressions and recommendations on what drinks to try. Do you have a favorite at any of these spots? 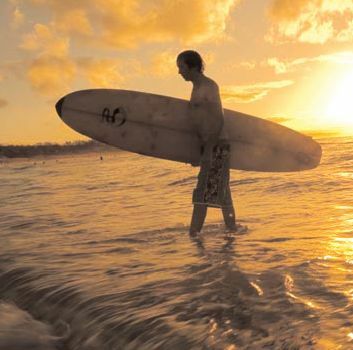 Charleston’s beaches offer a variety of surfing experiences, so choose according to your skill level. At Folly Beach, the most straightforward of surf spots, you’ll find bigger, more challenging breaks well suited to short boards, while the Washout, where Hurricane Hugo wiped out a swath of shoreline, has quick, tubular waves. Make the trek out to Sullivan’s Island or Isle of Palms for more solitude and waves that are better suited for long boards.